CM: The Hellenic Navy General Staff was founded in 1907, and its first chief was Admiral Pavlos Kountouriotis. After the Greek-Turkish war of 1897, the Turkish fleet was reinforced and in 1909 - as a response to that reinforcement - the battleship G. Averoff was bought from Italy. During the Balkan Wars of 1912 the Hellenic Fleet, including the G. Averoff, dominated the Aegean sea and crushed the Ottoman Fleet in the naval battles of Elli and Limnos. Consequently the islands of the North and the Northeast Aegean Sea were liberated from the Turkish yoke under the leadership of admiral Kountouriotis. At the end of the First World War in November 1918 G. Averoff sailed to Constantinople and raised the Greek flag as one of the winning powers. After, the signing of the peace treaties, G. Averoff with the rest of the fleet moved the Greek troops to Asia Minor. In 1941 after the start of the Second World War, the Greek fleet had moved to Alexandria with G. Averoff at the lead. From Alexandria, the battleship was dispatched to Bombay to patrol the Indian Ocean. At the end of the war in October 1944 G.Averoff brought back the Greek government from its exile in Cairo and anchored with the rest of the fleet at Faliro bay. In 1952 G. Averoff was decommissioned, and in 1984 the Hellenic Navy restored it as a museum. 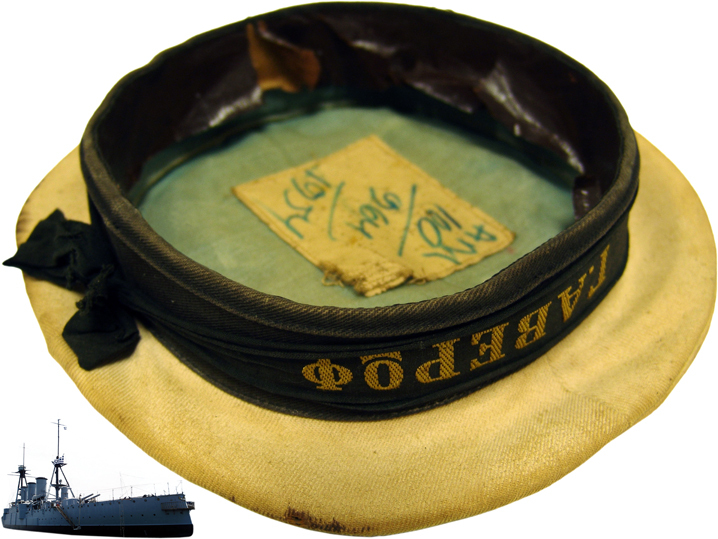 The Sailor's Hat from G. Averoff is likely to date from the early 1910s, when Gerassimos V. Vassiliades - the donor's grandfather - was Adiutant of Admiral Kountouriotis.